New York, 16th February 2017 – Artificial intelligence (AI) is laying the foundation to massively accelerate innovation throughout and beyond the coming decade. This will create a significant boost for the global economy—but it will also impact jobs, skills and human resources strategies across virtually every industry. AI will ultimately enable the full promise of the Internet of Things (IoT), but in that process, it will also disrupt the labour force in a manner that is not appreciated by most today. The labour force disruption from AI will go beyond the age-old debate of man versus machine and require the retooling of people’s existing skillsets. According to a new PwC report, Leveraging the upcoming disruptions from AI and IoT, the transition to an AI-enabled world—while creating enormous opportunities for growth and expansion—will also pose many challenges. Companies in all sectors will face decisions on how to transform their workforces to leverage the new opportunities while adapting to new recruitment, training and retention realities. This widespread impact underlines the fact that companies don’t have the luxury of time as they map out their plans for an AI-enabled world. Businesses must move rapidly to identify how to drive value from combining AI and IoT. Otherwise, they could be playing catch-up for years to come. When tapping into IoT, connecting products and equipment is only half the battle. As organisations accelerate their embrace of IoT, it is increasingly clear that rapidly advancing AI must play a pivotal role in their strategies. 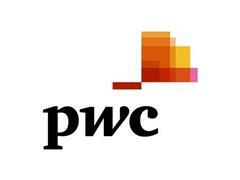 PwC’s report urges companies to create a strategic plan for the combination of these pervasive technologies. Integrating AI into IoT networks is quickly becoming a prerequisite for success in today’s IoT-based digital ecosystems. The full effect of this disruption will not materialise overnight. Smart companies and executives are taking a proactive and far-sighted approach, moving now to start the strategic dialogue. Higher revenues – Three categories of businesses could see increased revenues from the combination of the IoT with smart sensors, devices and AI: IoT device manufacturers, IoT data and information providers/aggregators, and companies offering application services based on smart sensors. Enhanced safety – Real-time monitoring will prevent disasters from occurring, which will raise overall safety. Some security cameras use AI to distinguish between people, animals and vehicles, and can also take actions—such as turning on lights or sending an alert—based on what it senses. Reduced losses from accidents and other causes – Real-time monitoring will reduce loss of lives and damage to assets. Lower costs – Smart monitoring of devices—electricity grids, home smart metres, or even sensor-enabled domestic appliances—will result in lower operating costs for homes and businesses. Enhanced customer experience – Smart sensors can adjust to individual behaviours of users/consumers by learning their preferences. For instance, some smart thermostats can vastly improve customer comfort and experience by learning individuals’ ideal personal temperature settings. IoT is primarily about data—the digital economy’s currency—but data is only useful when actionable. Therefore, early adopters of AI face myriad opportunities. According to PwC’s report, though, far too many companies are struggling to see the long-term view and they are getting left behind. In other words, the AI revolution is here—and now is the time to get ready for it. Click here to download PwC’s new report, Leveraging the upcoming disruptions from AI and IoT, which includes cross-industry examples of combined AI and IoT opportunities.